The other night I decided to make a "I'm a Paul Heyman Guy" Tshirt for my brother. It's a wrestling reference that probably 0.1% of the people who read my blogs would get but it makes me chuckle! I saw that WWE were releasing an official one. But I thought I'd just make my own as it's pretty simple to do. In the end I've decided to keep it for myself as I think its hilarious/amazing. 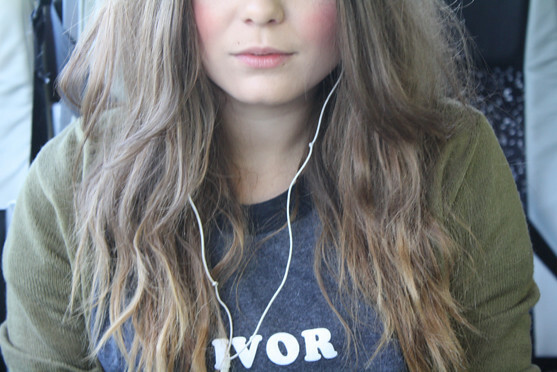 Anyway these kind of slogan tee's have been popular for years and then popularised over and over again. 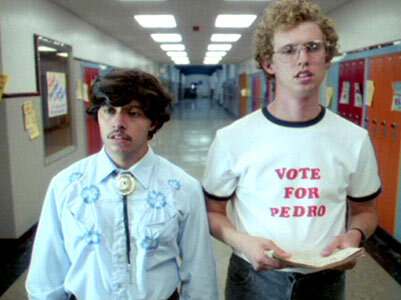 One that comes to mind is Vote for Pedro from Napoleon Dynamite. You can choose whatever slogan you want, so obviously make it as geeky as you like. Although I think the varsity style ones that Ashish did a few seasons ago would work well, My favourite was always the "Bisous Bisous"one! 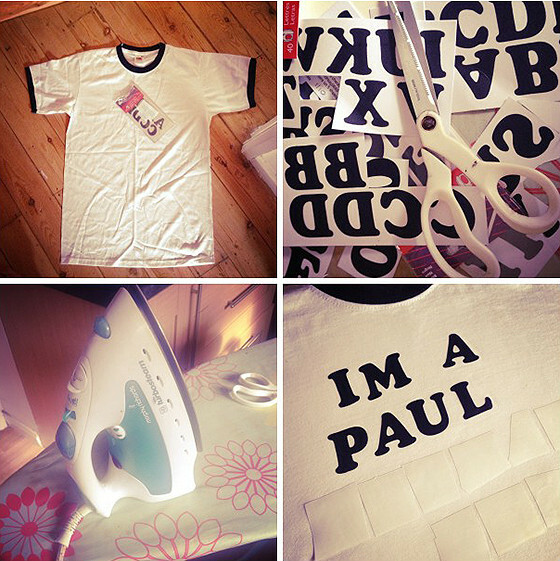 These DIY tee's are super cheap to make too with the letters and t-shirt coming to around £6! Basically all you need to do is cut out all the letters you need for your desired slogan, word or phrase, and then lay them face down onto your'e freshly laundered t-shirt. Cover with a piece of greaseproof paper, and then apply light pressure a hot dry iron to each letter for around 15-20 seconds. Try not to move the iron too much as you want to make sure the letter bonds to the t-shirt. But make sure you don't melt the letters or burn the shirt underneath. Be careful when putting your new customised tee the washing machine as the letters may come off, so always turn it inside out! I'd love to know if you do this or what slogan you'd have on a tee! It's such a fun and easy way to DIY stuff, I made a similar one for my ex boyfriend with his name on but the possibilities are endless! You don't just have to use lame-o wrestling jokes like me!